Praised by the Broad Street Review in Philadelphia for her "lovely lyric voice", soprano Katherine Bell has performed across the Eastern US and abroad. Recent engagements include performances as Despina in Mozart's Così fan tutte with the Charleston Symphony Orchestra, Adina in Donizetti's L'elisir d'amore with Opera Libera in Philadelphia, the title role, Maren, in the world premiere production of Maren of Vardø: Satan's Bride by Jeff Myers, and Ms. Bell was recently awarded second place in the NATS Competition, MD/DC region. 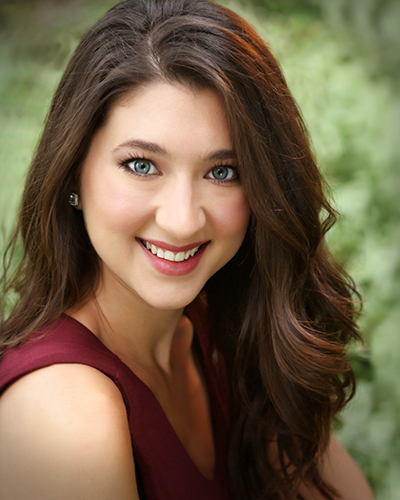 Among her concert performances, Katherine has toured Italy as the soprano soloist in Vivaldi's Gloria with New Jersey's Jubilate Deo Chorale and Orchestra. A US performance took place at the Kimmel Center in Philadelphia. Along with operatic roles, Ms. Bell has cantored at many churches, performed religious services, sang jazz standard with big bands, and performed cabaret and musical theater. In addition to performing, Ms. Bell loves inspiring the same creativity and passion for music in her private students! Covering all genres and styles of music, her lessons focus on developing proper and sound foundational technique so that the singer can perform all different styles of music without fear of damaging their voices. She has worked with students of all ages and experience levels teaching both voice and piano; helping all of her students find their unique creative voices making music that is all their own!